With training camp under way, it only seems fitting to begin to predict what players will make up the Steelers’ 2017 53-man roster by Week 1 of the regular season. So who do I think will end up making the cut? There should be absolutely no surprise here to anyone. The real battle is going to be which player ends up being the #2 behind Roethlisberger. That decision will come down to how quickly Dobbs grasps the offense during the preseason. As of right now, it appears that Jones is primed to back up Big Ben for another season, as Roethlisberger looks to take control of the Steelers’ loaded offense. As the Bell holdout continues, his presence on the field will only help the Steelers’ offense improve in all areas. After spending a 3rd-round pick on Conner, his status on the roster is secure. The real surprise so far has been Toussaint’s new and improved physique that has added some new burst and speed to his game that wasn’t seen before. Davis was signed during the offseason to add depth on offense and provide a spark in the return game, but is still on the bubble at this point. Nix has no competition at fullback, as he was one of the biggest parts of Bell’s big year in 2016. He might just be one of the most underrated players at a dying position in the NFL. All eyes will be on the wide receiver battle as the preseason gets underway. Beyond Brown, the group is a question mark in terms of which player where land where. Bryant will be reinstated and almost certainly regain his spot opposite of Brown. 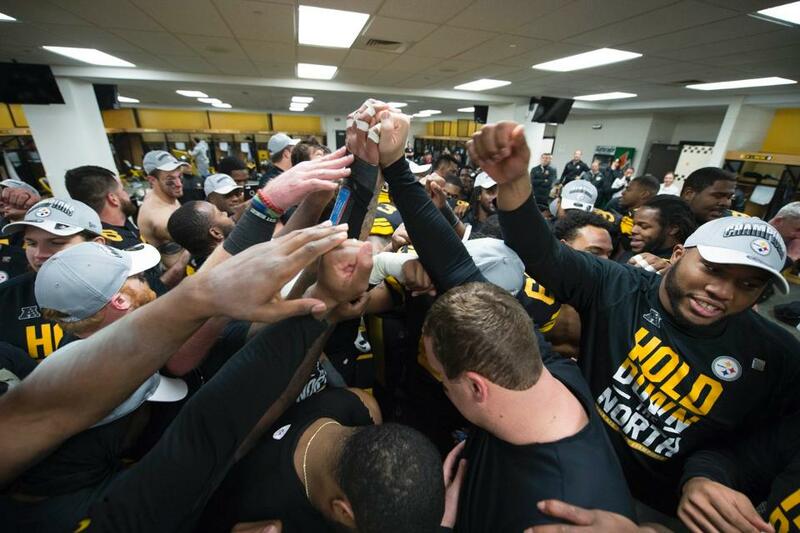 Heyward-Bey isn’t a lock to make the roster but as a veteran standout on special teams and a leader on and off of the field, the odds appear to be in his favor. In the slot, the battle will come down to Smith-Schuster, Rogers, and Ayers. Realistically, all three deserve a place on the roster but with the surprise emergence of Hunter, there likely won’t be room for all three. 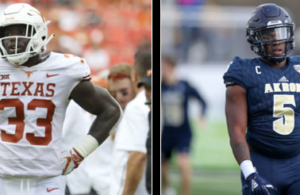 Rogers has proven his worth and Smith-Schuster is a 2nd-round pick that appears primed to add something special to the offense. 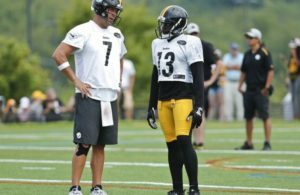 Sammie Coates has a chance to make the roster, but with the budding chemistry between Hunter and Roethlisberger, Coates seems to be on the outside looking in at this point. With the release of Ladarius Green and with Scott Orndoff being waived due to injury, the tight end battle is all but settled at this point. James will take over unquestioned control of the starting spot with Grimble serving as an athletic counterpart. Johnson was utilized heavily in the run game last year and he’ll likely retain that role again in 2017. Phazahn Odom is a dark horse candidate to make the roster, but as a raw talent, the odds are stacked against him of making the 53-man roster this year. Barring injury, the Steelers with send out an identical starting offensive line in Week 1 in back-to-back seasons for the first time since the 2005-2006 seasons. With Villanueva’s contract extension, all of the Steelers’ starters are inked through at least the 2018 season, with Villanueva and DeCastro being signed through 2020. Behind the starters, Hubbard will likely retain his role as the do-it-all back-up and 6th offensive lineman in running situations. Hawkins has the chance to compete with Hubbard for this role on the team, as the Steelers were very high on him last year before his injury. He appears to be continuing his progression this preseason. Finney proved to be a promising back-up in the interior last season and could be a future replacement for Foster in 2 seasons. Heyward, Tuitt, and Hargrave will begin their 2nd season together as the starting three defensive linemen for the Steelers, as there is no competition at the position. Alualu was a solid acquisition this offseason and will provide quality veteran depth in the rotation. Walton has come a long way since being selected in the 6th-round of the 2015 NFL Draft. The Steelers have been working him at all positions across the defensive line, only adding to his value. He is solid against the run and improving as a pass rusher, so expect to see an increased role for him this season. Maxey has a great shot of being the 6th defensive lineman on the roster this year, as it appears that Daniel McCullers has all but worn his welcome with the Steelers. Gone are the days of Lawrence Timmons. Williams will step up alongside Shazier to form a thunder and lightning tandem in the middle in 2017. Williams has done his time on special teams and as a rotational piece and many believe he will do great things in the starting lineup. Just like Williams before him, Matakevich will become a late-round pick-turned-rotational piece in the middle and continue his dominance as a special team’s standout. With Shazier’s shaky injury history, it can be expected that Matakevich will see his snap count increase this season. The last spot could go to either Fort or Steven Johnson (if they both aren’t kept on the roster). Johnson was a special team’s standout a year ago, but Fort presents more athletic upside. With two thumpers already on the roster (Williams and Matakevich), they could be more inclined to keep Fort instead. With the Jarvis Jones experiment finally in the rearview mirror, the Steelers selected Watt in the 1st-round to be the hopeful long-term future of the position. So far, it appears that they made the right decision in April. It is more of a matter of when Watt will become the team’s full-time starter on the edge instead of 39-year old Harrison. Dupree will look to make huge strides this season, as he looks to become the Steelers first double-digit sacker since Harrison and LaMarr Woodley did it in 2010. Chickillo stepped up in 2016 to become one of the Steelers’ key rotational pieces and his progression indicates he’ll do the same in 2017. The real battle here is between rookie Keion Adams and veteran Arthur Moats. Moats presents leadership on and off of the field, but has does not offer much as a special teamer, something the Steelers want in their depth outside linebackers. If Adams can prove his worth there, he’ll get the nod over Moats. After selecting Burns in the 1st-round of the 2016 NFL Draft, the Steelers seem to have finally found the bonafide #1 corner they have been searching for for so many years. 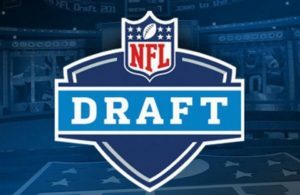 Cockrell will play opposite of Burns, giving the Steelers a great combo on the outside. Who ends up starting in the slot in nickel packages has yet to be seen, but for at least the beginning of the season, the job appears to belong to Gay. Everything else is up for grabs this preseason. Sutton is a lock to make the roster as a 3rd-round pick this year and has seen time both inside and outside, showing off the versatility and intelligence that the Steelers loved in him. Sensabaugh has seen a lot of time on the outside and it appears that he could be poised to be a relief corner for Burns and Cockrell. For the final spot, I believe the battle will come down to Senquez Golson, Brian Allen, and Hilton. Throughout training camp, Allen has been running with the 3’s and has looked raw, which the Steelers knew when selecting him in the 5th-round this year. Golson went down with another injury and while it is reportedly minor, he doesn’t have any previous time on the field over the last two years that justifies him having a secure spot on the roster. The best ability is availability and Golson has not done that so far. This is why Hilton will likely land on the roster, especially after putting together a strong beginning to training camp. It would not be surprising to see him push Gay for playing time as the season progresses. Nothing unexpected here. Mitchell and Davis will be the starters, as Davis looks to continue his late-season growth last year and become a real force in the secondary. Golden and Dangerfield will each play big roles on special teams (Golden has been the special team’s captain for three consecutive seasons now) while also serving some time in the Steelers’ sub-packages. Boswell and Berry both impressed in 2016 and will retain their roles on special teams. Berry became the Steelers’ first punter to start consecutive seasons since 2010 and looks like he could finally be their long-term answer at the position. With the release of long-time snapper Greg Warren, Holba, the team’s 6th-round pick this year, will take over for what should be the foreseeable future. Trey Williams is a small back that is quick and shifty and with concerns about Bell’s status and Conner already suffering from two injuries this offseason, the Steelers will likely keep a running back on the practice squad. Ayers has the chance to make the 53-man roster if he can prove himself as a returner, but if injuries impact the season, he could be called up late like he was last year. Odom will likely spend 2017 on the practice squad before making a serious push for himself in 2018. The potential is there. Mihalik spent time last year on both the Steelers’ and Lions’ practice squads and ended up being called up to the active roster in the second half of the season (although he saw no time). Cooper was one of the small-school darlings during the draft process and has a stocky thick frame that you don’t often see with linemen anymore in the NFL. If he can improve, he could be a candidate to make the roster in the future. Kallon is a player that the Steelers were interested in during the pre-draft process this year and didn’t hesitate to sign him as an UDFA. Philon or Lavon Hooks could find a place here but I believe Philon has greater versatility and upside. Galambos and Kelsey will battle for attention during the preseason, but I don’t think that it is too farfetched to see them both snag a spot. If Allen doesn’t make the roster, he is destined for a spot on the practice squad.